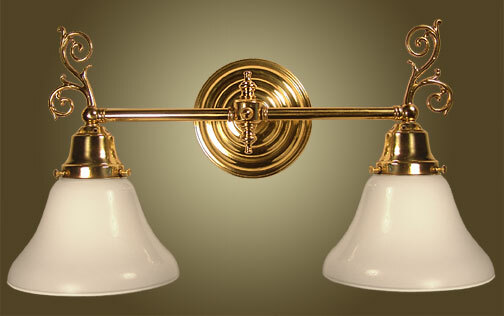 This more Colonial electric wall sconce is shown in polished brass. Solid cast brass construction and shiny Opal glass globe complete the overall look. Custom width is available. Also available with 3 or more lights. Width 17 In. / Projection 9 In. / Depth 10 In.